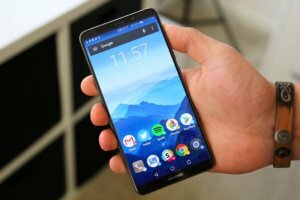 Huawei Ukraine in January-June 2018 increased smartphone sales in Ukraine by 30% compared to the same period in 2017. Compared to 2017, smartphone sales in Ukraine increased by 3 percentage points (p.p. ), to 16%. According to Marketing Director of Huawei Anton Stepaniuk, the brand awareness increase from third parties was 8 p.p., to 81%. According to him, in the market of tablet PCs in Ukraine the company also showed a growth of more than 11%, to 20% for half a year, and in annual terms by almost twice. He also noted that in the high price segment (EUR300-400), Huawei’s market share growth in the first half of 2018 in Ukraine was 16 p.p., to 20%. According to the company, Huawei climbed to the second position in the list of the largest smartphone manufacturers in the world in terms of sales, increasing it by 40.9%. Thanks to this, its share of the world market was 15.8% against 12.1% for Apple. Huawei also announced its intention to open another 10,000 branded stores and 700 multifunctional centers by the end of 2018. Now there are more than 53,000 Huawei branded shops and 3,500 centers in the world.